Universal iOS 8 app, no ads. Need a special character that's not available on system keyboard? Use Symbols to quickly find and paste it. 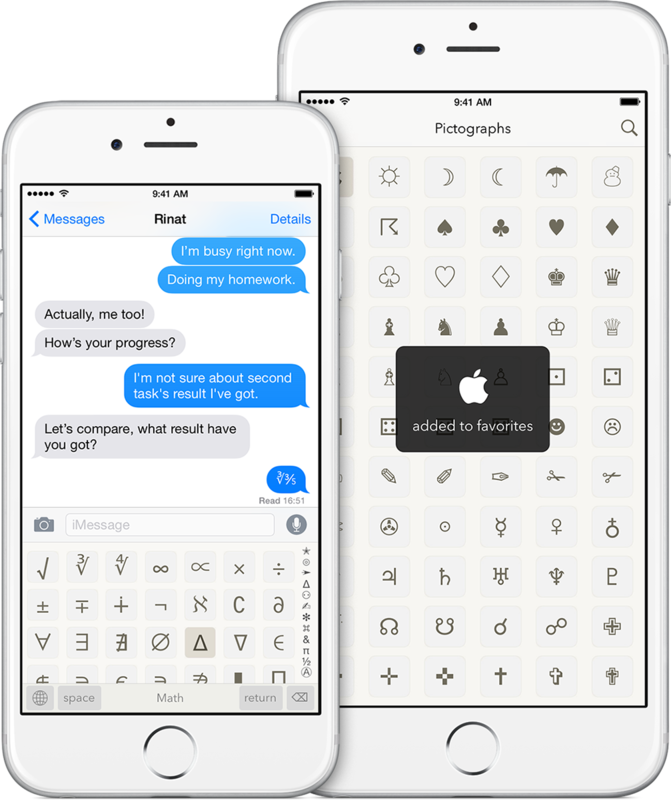 Choose from over 2000 special characters sorted by category. 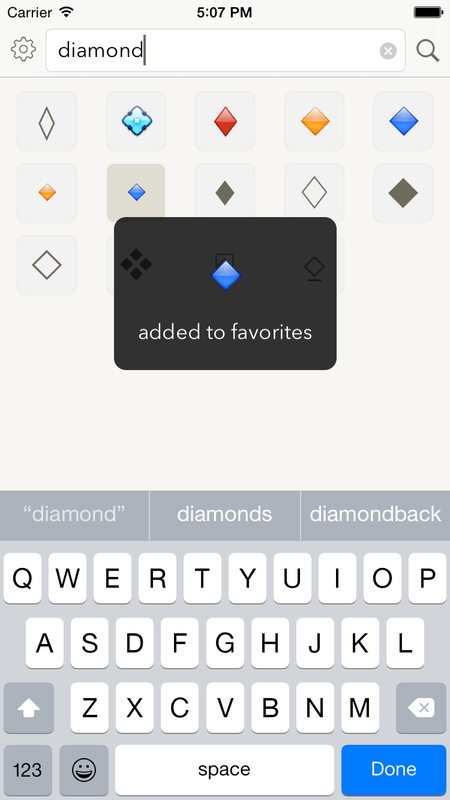 Access symbols instantly in any other app with Symbols Keyboard. Use search to quickly find a glyph you need by its Unicode name. Press & hold to mark a symbol as favorite. Access Recent and Favorite symbols on all your devices (iCloud sync).